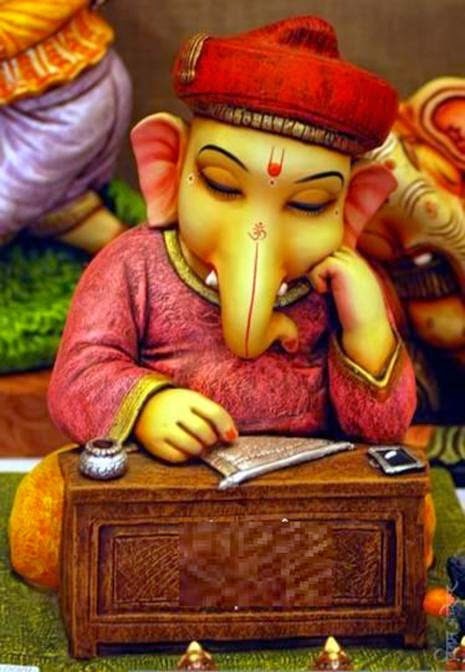 TaaRay.com: Wish you a Happy and a Blessed Ganesh Chaturthi 2014! Wish you a Happy and a Blessed Ganesh Chaturthi 2014! The Ganesh Staphna (installation of the Idol) on Ganesh Chaturthi day, i.e. on 29th August 2014.. Ganesh Pooja is preferred during Madhyanhana on Ganesh Chaturthi as it is believed that Lord Ganesh was born during Madhyahana Kaal which is between 12:39 and 14:13. The Muhurut time specified above is the best Muhurut to perform the Ganesh Puja and to perform any work. This is one of the most popular festivals in the Country. There are several reasons for this. Ganpati is after all a popular God. His blessings are invoked at most religious ceremonies, as he is the one who can remove all obstacles to success. He is the giver of fortune and can help to avoid natural calamities.